I am Always Expecting Nothing But my Lords Best in me and for me! Early do I rise to Seek the Lords Face! To make sure that I & my family are within His Will & Purposes for us this day called Today! I HEAR HIS TRUTH AND I DO HIS TRUTH POWERED BY HIS LOVE! I simply LOVE the Peace and Quiet of the Mornings here! The POWER of our Lords Presence that I feel Is Soothing, Encouraging, Enlightening, and Restores and Renews my Heart, Soul, and Mind... in the Quiet of the Mornings.....His Spirit of Truth & UnconditionaLove Sit with me, Pouring into and on me All that I will need for this Day, called Today! 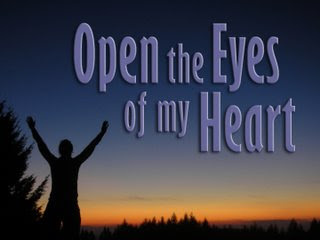 If you have Eyes and Ears, I pray you able to Hear and See what the Lord our God reveals and speaks to you! I know that no one Should underestimate The POWER of our Father's GRACE, FAVOR and PURPOSE IN & THROUGH MY LIFE IJN! You Should REJOICE & CELEBRATE When HE REVEALS His Love for Any of His Children! Yes LORD--Thank You Jesus! Yes He Can and Will if you EXPECT Him, If YOU TRUST HIM - If YOU have FAITH IN HIM! Yes He WILL Bless YOU! From the Inside out is How He does it! I Encourage YOU IJN, To Never Underestimate the POWER OF GODS GRACE, MERCY, FAVOR and LOVE For your life! He left us His Peace, His Holy Spirit Lives in our hearts, to guide us and correct us, to comfort us so that we know how to comfort others. Being 'self-led' always leads one away from the Purposes and Will of God, of our Lord, being Spirit-Led all day every day, moves you Closer into His bosom, able to Obey and Love Him, Always allowing His Love to Weed, Feed & Grow us In Him. if the enemy of God had Any actual Power at all he would use it....but he does not have any actual power.....instead, all he has are lies, manipulations, smoke & mirrors, suggestions, that all tempt our emotional buttons, and once you allow the Love of Jesus to mature and grow you emotionally, and Spiritually, even the tools the enemy does have use of, Don't Work. Just Praise and Obey...let the Lord Weed, Feed and Grow His Love in your heart...Strengthening your Faith and Trust in Him. Our Lord sits Nearby waiting for us to call upon Him for Help, for us to call on Him to praise Him, to thank Him,...with each Need that we have that Calls to Him for Help, that Is His Golden Opportunity to Be seen in and through our lives. Though It would Do His Children Good to Sit with Him learning All and Everything He Desires to teach us, to build us up--Before Storms and Trouble arise in our lives! It would do His Children GOOD To Give Him Their Time willingly Every Day so that their FAITH & TRUST Increase Every Day, so that their Faith is High enough, Strong Enough and Long enough -- to Carry them where His Spirit Leads them to go, as He has ordered the Steps of their Feet! As The Water rages high, and the Winds of Change seek to tear them down, and the Way is longer than expected...Their Faith which Is their Bridge Will Be High enough, Strong enough and LONG Enough to provide obedience to His leading! Our Faith is our Bridge that Carries us to the places that He has Ordered our Feet to Be! Examine your bridge Every day to make sure that it is Strong enough, that it is High Enough and Long enough to carry you where He has Ordered your steps to go! It Would Do His Children GOOD to do these things, to obey completely Every Day, Just as the flower obeys the Sun and Grows, And turns toward the Sun as it Moves around the sky during it's time of being seen! It Would Do His Children Good, to willingly, and lovingly Accept Jesus as their Lord, Their Shepherd, Their Friend, Their King and their Prince of Peace....this way they Desire To Spend Time with Him--This Way they WANT His Love to Change them completely into His LOVE! His Children Never reject An Opportunity, Divinely Provided to Allow His Full Honor and Glory to be Seen through their Hearts, And their Lives...Every day.. He is right beside you waiting for your Love to call to Him, Your need to call to Him, waiting for you to by Faith and Trust Walk with Him..there is Much Work to do..
His Banner of LOVE is Always over me! This is totally what I just need!Thank you for this..